his weight in Sunday Donations. WARNING! THIS IS AN INFLAMMATORY PAGE FOR MANY REASONS. IF YOU START TO FEEL A LITTLE RAGE, STEP AWAY FROM YOUR COMPUTER SCREEN, TAKE A DEEP BREATHE AND ASK YOURSELF, "WHAT IS WRONG WITH MY LIFE?" My belief about "Eternal Hell" by Pastor Harry, a long overdue and much needed page. It is time to set the captives free and the captives are us. I always had a problem with the "Hell For Ever" Doctrine as it seems so inconsistent with a Loving God. Why would a GOD of Love and Mercy allow people to literally burn forever in extreme torment? This is not only inhuman it would be more what we expect from a Book of Satan and how the Devil treats those who reject him. It seems contradictory, almost schziophrenic to tell a person, "God loves you wants to bring you to Heaven. But if you reject Him, He will burn you in Hell Fire for all of eternity. But He loves you." True, YHWH GOD gave mankind free will and we have the right and ability to choose God's Savior or reject Him. We also have the free will to do good to our fellow man or prey upon others for our own pleasure and greed. Ultimately we do choose our destiny be it Heaven or Hell. But since none of us asked to be born into this world and face the choice of Heaven or Hell, it seems Merciless, Brutal and Sadistic of God to condemn people (who reject Salvation) TO BURN IN TORMENT FOR ALL OF ETERNITY! At this point, Baptists and other Fundamentalists (who seem to love the Doctrine of "Eternal Hell Fire and Torment) will scream "God doesn't send people to hell. People send themselves there." True, God does not send people to Hell. People do self-condemn themselves to Hell but it is YHWH GOD who set up this punishment and not man or unseen forces beyond the control of God. A HELL FOREVER IS "OVERKILL"
"Hell For Ever" is a case where The Punishment Exceeds The Crime and seems to violate the nature of God, which is Love and Mercy. This would be like the Penalty for stealing a loaf of bread is being beaten half to death or having your hand cut off (as literally taught in The Koran). I do not believe The Bible teaches that Hell Is Forever. I believe that Hell will last for a space of time (1000 years) and then be no more, that Hell and those in it will be "disintegrated" in an act of YHWH GOD'S Ultimate Mercy. Now I will show you why I do not believe HELL IS FOREVER and you can decide for yourself what is true. To start our search for The Truth, lets start with John:3:16 which is the heart and crux of The Gospel. (we will explore six, key verses of Scripture dealing with Heaven and Hell). "Perish or everlasting life". . . I don't see JESUS saying, "Burning in Hell For Ever vs Everlasting Life, do you? "Perish" seems to mean destruction and the word perish in Greek is Apollymi and means total destruction. BODY AND SOUL IN HELL." This verse spoken by JESUS seems to clarify JN:3:16 as to what it means to "perish". We are told that in Hell, GOD can destroy both your body and soul. People who are cast into Hell (Mt:10:28) are not burning for all of eternity. There comes an end to their torment, A Finality, the destruction of both body and soul in hell. During The Tribulation, God will send His Angels to give mankind the Final Warning, that "all who take the mark of The Beast (and worship Satan) will be tormented in Hell, and the smoke of their toment acsendeth up for ever and ever and they shall have no rest day or night." This verse seems to say that "HELL IS FOREVER". But what about the other two Gospel verses we just read? What about Jn:3:16 and Matt:10:28 where Jesus said, "Our soul and body can be destroyed (perish) in Hell?" Does The Bible contradict itself? Not at all because we still have eight chapters left in Revelation. "And Death and Hell will deliver up their dead". The Bible is clear as day! People will not burn in Hell For Ever, as Billy Graham and The Baptists so boldy proclaim. I believe that Hell is in the center of the earth because the center of the earth is a burning fiery "hell". This is why "Hell is down" and why we point up for Heaven as we gaze beyond the stars. Then "Death and Hell were cast into the Lake of Fire" = which is called The "Second Death". I believe this represents The COMPLETE DESTRUCTION OF A PERSON- BODY-SOUL- SPIRIT = TOTAL DISINTEGRATION. Now we see the "heavens and earth" itself (along with Death and Hell) cast into the lake of Fire which can either be The Sun or a dimensional lake of Fire, hotter than anything imaginable. Hell Is Not Forever After All. Look at that! People suffer for their sins in this subterranean Place of Darkness and Flames, then they are cast into The LAKE OF FIRE = The Second Death and are no more. What about Rev:14 that says "Those who take the mark of The Beast shall be tormented forever, night and day?" 1- well night and day is relative as it involves time and space. If God destroys the "heavens and earth" (the universe) then time, night and day, will cease to exist. 2- The smoke of their torment, the literal smoke and screams of those who suffer and burn in HELL will echo thruout the universe for all eternity or until again, the universe is destroyed. This concept of SOUL DISINTEGRATION is consistent with YHWH GOD'S nature of Love and Mercy. JESUS taught us, Blessed are the merciful for you shall obtain mercy." Should not the Mercy of God far exceed our own? TOTAL SOUL DISINTEGRATION has a sad note, that many people are so proud and wicked, they must be DISINTEGRATED, just as if they never even existed. Yet God still uses the wicked to work good, so their existence upon earth had some value after all. God used Hitler and his Nazi's to bring about The Restoration of Israel as a nation, the Jewish homeland. (14 May 1948). In my own life, God allowed thieves to steal my hemi race engine. This was so I would come to realize there is far more to life than racing a car around a track and set my life path of Seeking GOD and His Will for my life. You can probably look back in your own life and see how God used evil (people who choose to do harm) to help steer you towards Salvation. Final Note: In Rev:20:13, We again see those in Hell (center of earth) delivered up from Hell and stand before God where as "their works in life are judged". I believe here too, YHWH GOD will give those souls (who suffered in hell's torment for 1000 years) A LAST CHANCE to repent and make Heaven. YET AS UNBELIEVABLE AS IT SOUNDS, NONE WILL TAKE THIS OFFER! THEY WILL RATHER BE DISINTERGRATED THAN TO SERVE GOD IN HEAVEN. Does this seem too unbelievable, too hard to accept? Well if it is- it is because you are not one of THE WICKED. If you yourself know (that after torment in Hell) you would fall on your knees and plead with God for Forgiveness, its because YOU are not one of the Wicked (who harden their hearts to God). Those who would repent after Hell, will repent upon Earth, either Before The Tribulation starts or most certainly during this darkest of times. So now if someone asks you, "Is Hell Forever?" You can answer them with a clear conscience and with no conflict in your spirit and say "No it is not." Now if this page is causing you to foam at the mouth and fill your head with rage, then run to the mirror and take a long look! See how warped and tormented your own soul has become as you SCREAM for The Eternal Torment for people who you deem as the "wicked" while crying for "mercy" for yourself. And if you are a young Christian, a new convert to Christianity, then this is the perfect time to accept a sad reality. Much of what is taught from The Churches today is not true. We all must decide whom we shall believe, The Words of Jesus In The Gospel, or what The Clowns In The Pulpits tell us on Sunday Morning. I believe that Satan is the author of this Lie of "Hell Is Forever". The Devil knew he could get millions of Fundamentalist "Christians" to accept, love and promote this Sadistic Dogma, just as The Devil gets millions of Fundamemtalist Moslems to believe that "Killing Infidels" (Christians & Jews) is serving God. Baptists and Moslem Fanatics are of the same dark "spirit", of no mercy, death and torment for the "Infidel". They are the "mirror image" of each other. The only difference is the shape of their temples and one worships the Bible and the other, The Koran. Contrary to Christian Dogma such as presented in "Left Behind" books, there are TWO RAPTURES to come and not one. The FIRST RAPTURE happens before The tribulation starts and is for JESUS' true followers, His Faithful Remnant (REV:3:10). The Second Rapture is THE RESURRECTION (1 Thes:4:16- 1 Cor:15:52). This event happens during The Tribulation and represents The LAST CHANCE for all to be saved and attain heaven, as a Tribulation Saint and probably a beheaded martyr. (the hardest way to enter Heaven). Do I hate Baptists and Moslems? of course not. I hate these Doctrines of "Hell Is Forever", that paint God as a sadistic puppet master or blowing up women & children in the name of "Allah". 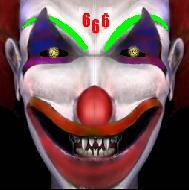 COPYRIGHT © 1997-2006, HARRY WALTHER & ESCAPE 666 BIBLE PROPHECY REVEALED, All Rights Reserved.